Description: This video will show you how to use Measurement Workshop. 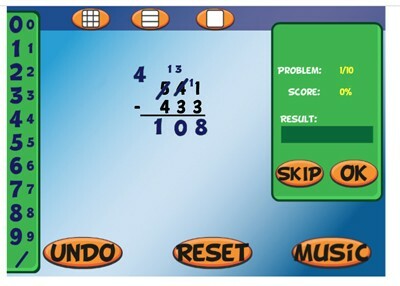 Description: Sal’s Sub Shop is a great way for kids to practice their metric and standard measurement skills with fractions. The object of the game is to fulfill customer orders by cutting the sub to their exact specifications. 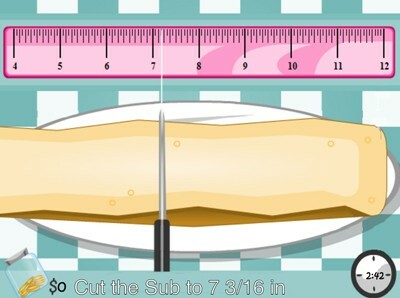 For example, a customer might order a sub that is 8 and 5/8 inches long or 15 and 1/5 centimeters long. 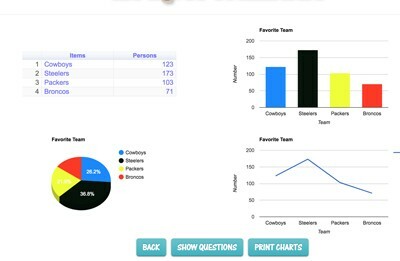 If students can manage to fulfill eight customer orders, they win the game. Description: This video will show you how to play Sal's Sub Shop. Description: This printable worksheet will get students ready to play Sal's Sub Shop. It reinforces fractional measurement with a metric ruler. 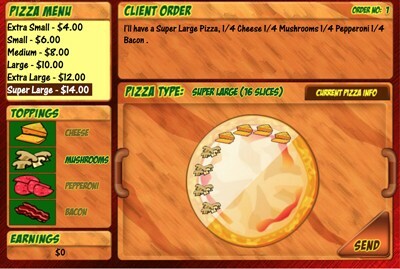 Description: This online activity will help students get used to playing Sal's Sub Shop. It reinforces fractional measurements with a metric ruler. Description: This printable worksheet will get students ready to play Sal's Sub Shop. It reinforces fractional measurement with a standard ruler. 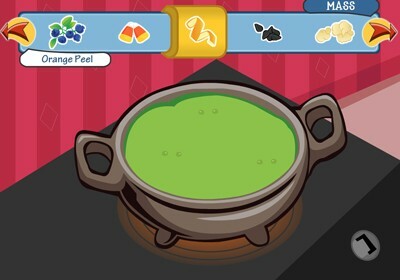 Description: Horrendous Soup is a fun game in which students have to make a recipe for the most disgusting soup they can imagine. 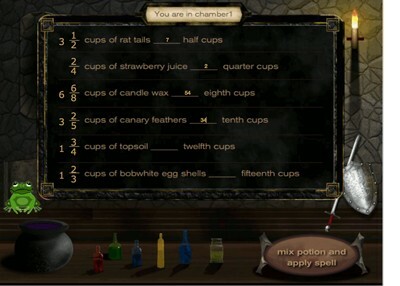 Students progress through the game by adding ingredients to the soup. Some of the ingredients are measured in capacity, some are measured in mass, and some are measured in distance (for example, the recipe might call for a certain amount of millimeters of toothpaste or tree branch). Given this is a bit far-fetched, but still a perfect way to reinforce metric conversion skills. To successfully print out the recipe, students must demonstrate the ability to convert the amounts of ingredients to other metric units. For example, liters to milliliters and vice versa, grams to milligrams and vice versa, and millimeters to centimeters to meters. 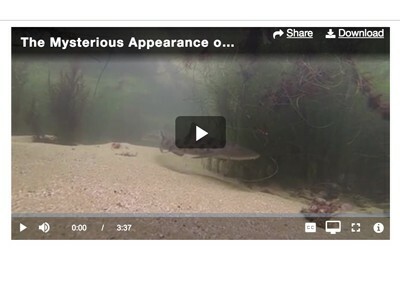 See demonstration video for more information. Description: This practice worksheet will get students ready to play Horrendous Soup. It requires students to convert grams to milligrams and liters to milliliters. 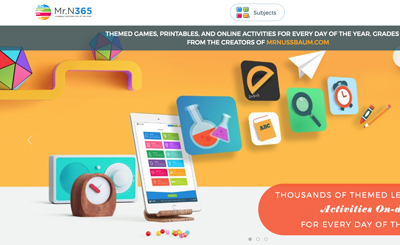 Description: This activity will get students ready to play Horrendous Soup. 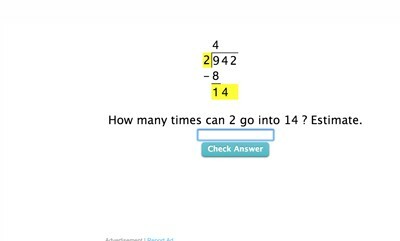 It requires students to perform metric conversions of mass and volume. 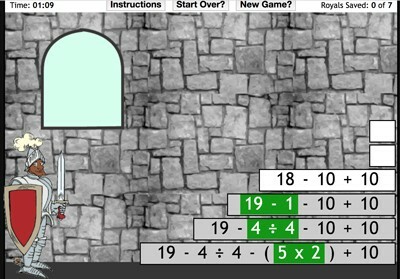 Description: Computation Castle is a fun game that requires students to use their fractions, measurement, place value, and exponents skills to reverse a spell placed that caused the royal family to be turned into various animals. Description: This video will show you how to play Computation Castle. Description: This printable activity will get students prepared to play Horrendous Soup. It requires them to make metric conversions of mass and volume. 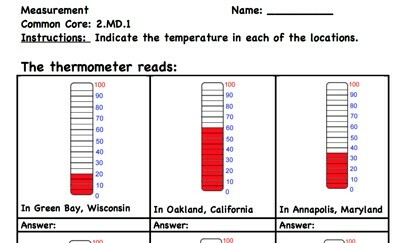 Description: This activity requires students to read temperatures on thermometers. It gives immediate feedback. Description: This activity requires students to read temperatures on thermometers. 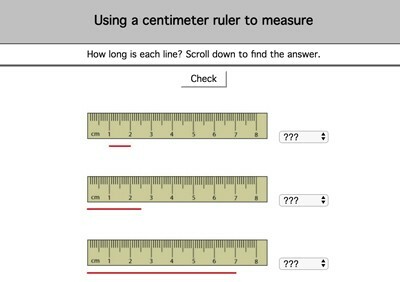 Description: This activity requires students to use a standard ruler. It gives immediate feedback. 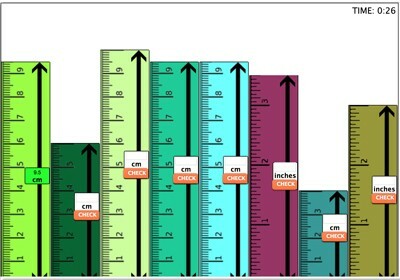 Description: This activity requires students to use a metric ruler. It gives immediate feedback. Description: This activity requires students to estimate the lengths of line sin centimeters. It gives immediate feedback. 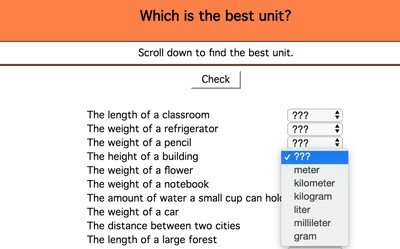 Description: This activity requires students to determine the appropriate metric unit of measurement. It gives immediate feedback. 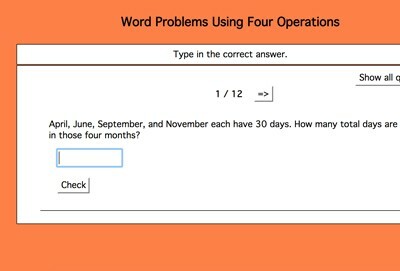 Description: This activity requires students to solve word problems with metric units of length. 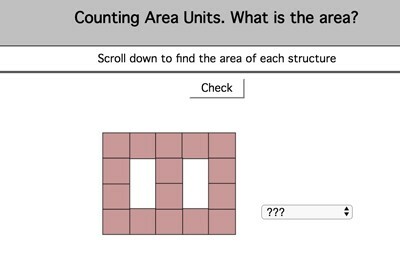 Description: This activity requires students to determine the area units. It gives immediate feedback. 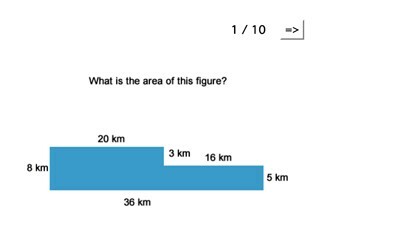 Description: This activity requires students to determine the area of rectangles. It gives immediate feedback. 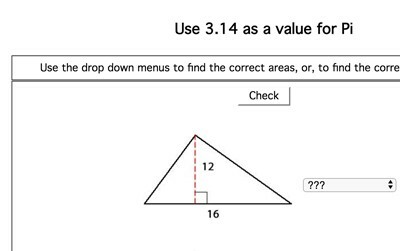 Description: This activity requires students to determine the area of triangles. It gives immediate feedback. 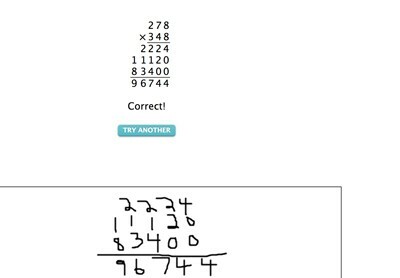 Description: This activity requires students to determine the area of complex figures. It gives immediate feedback. 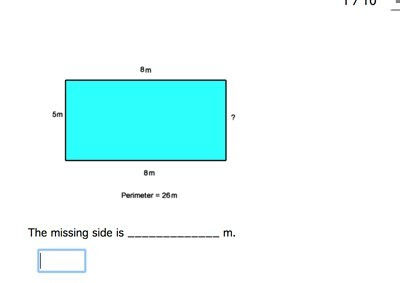 Description: This activity requires students to determine the value of the missing side of a rectangle. Description: This activity requires students to determine the perimeters of triangles. It gives immediate feedback. 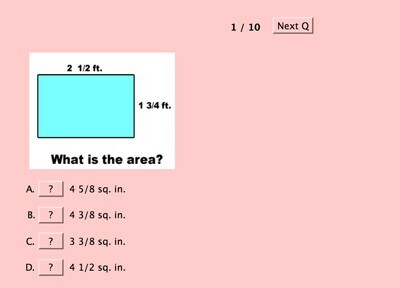 Description: This activity requires students to find the area and perimeter of rectangles. It gives immediate feedback.